Fatgirl Hedonist: Feeling Fruity Thanks to FruitFlowers! 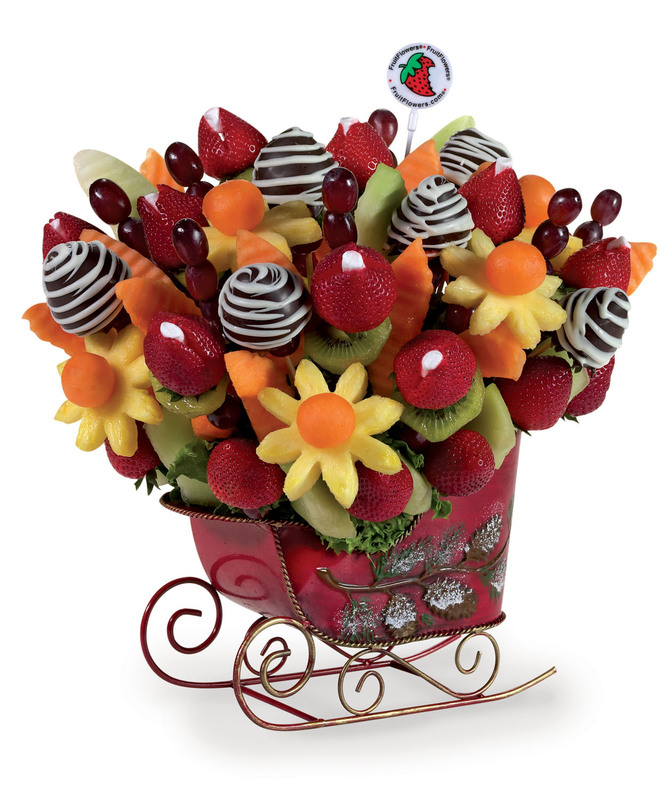 Feeling Fruity Thanks to FruitFlowers! 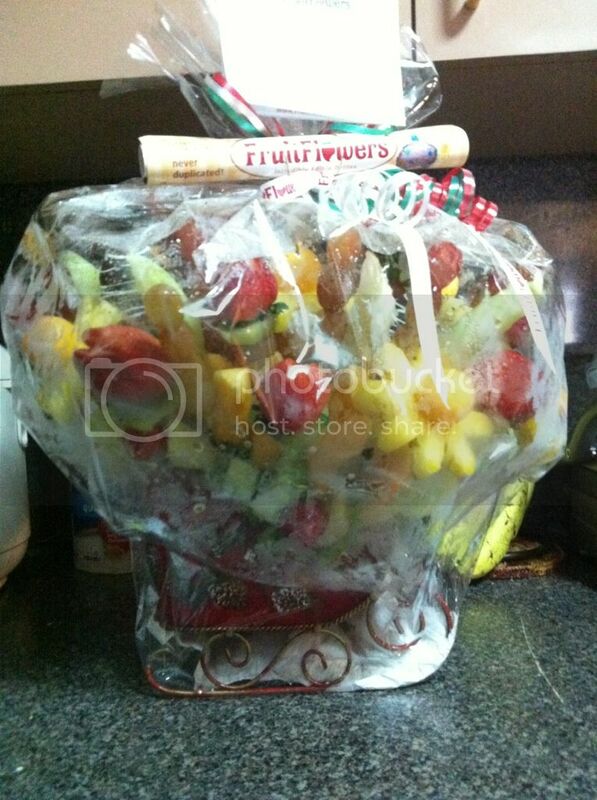 Last week I got an amazing fruit basket from FruitFlowers to review and all I can say is "WOW!" 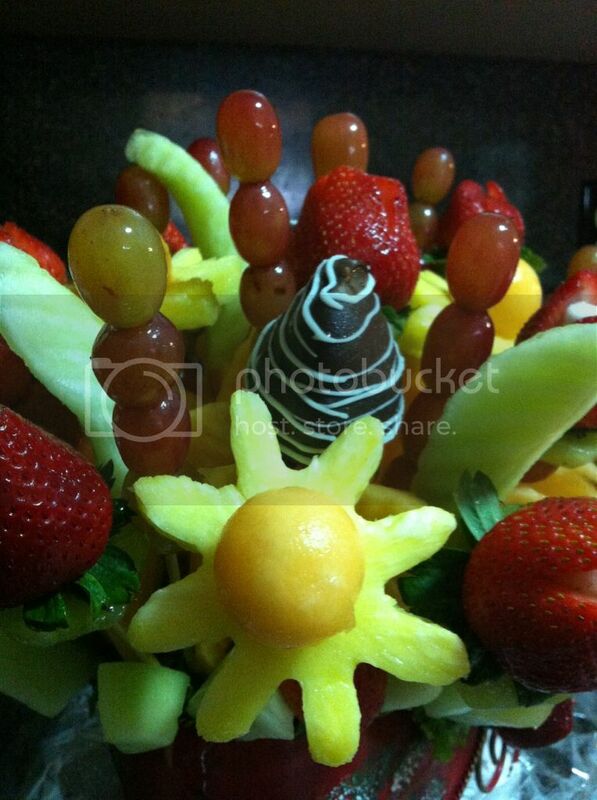 This massive fruit arrangement was not only delicious, but visually impressive. I received their Sleigh Bells arrangement with chocolate dipped strawberries just in time for the holiday season. The pineapples were carefully cut in the shape of a flower, slices of kiwi acted as rose buds for the strawberries, melons were carefully sliced and all were mouthwateringly delicious. 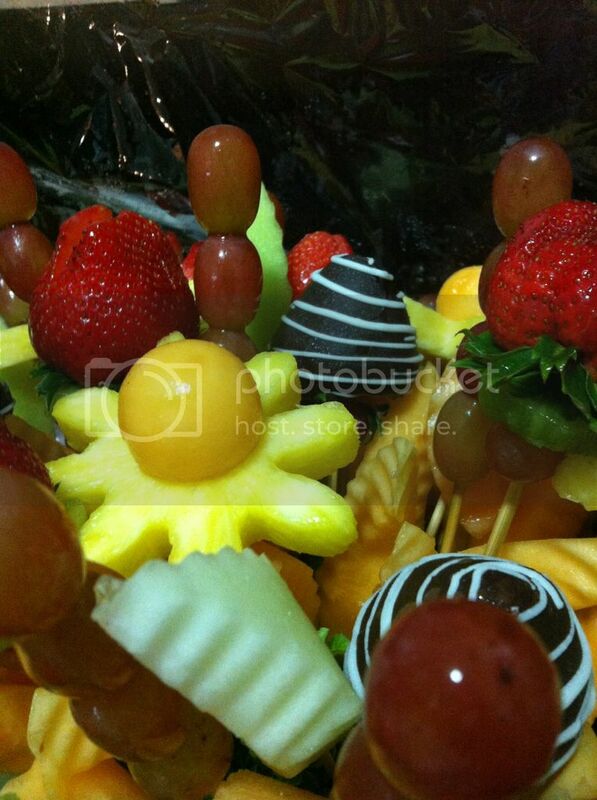 I had eaten fruit arrangements from Edible Arrangements (the competition) in the past and was unimpressed by the lack of flavor in the fruits. Sure it looked nice, but there was no flavor and that just ain't right. Every piece of fruit in the FruitFlowers arrangement was juicy, bursting with flavor and ridiculously fresh. The best part was the chocolate dipped strawberries... OMG! They had a thick layer of chocolate that enrobed the fresh strawberries. It was just sinful and it was delicious. 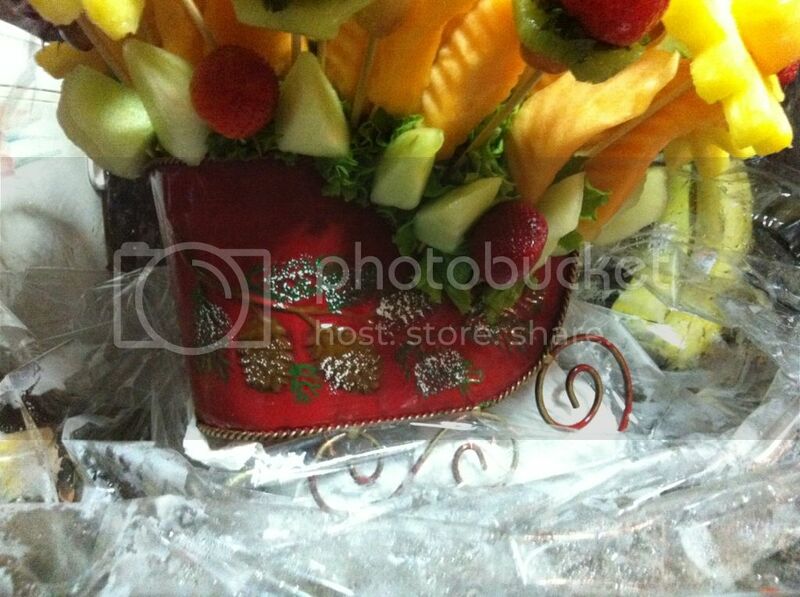 I was informed that the arrangements are each made to order and it definitely shows in the quality of the fruit. For me, service is just as important as the quality of the food and in this situation not only was the service attentive but kind. I expected my delivery in the morning, but for whatever reason the delivery guy was at my house at noon. By that time, I had stopped waiting and gotten on with my day. I got a phone call from their Fort Lauderdale office stating the driver was at my house. Luckily for me, I was only 10 minutes away and the driver was sweet enough to wait for me. Once I got home, the driver insisted on carrying the arrangement into the house because it was very heavy, he was a complete gentleman. Next time you're looking for a house warming present, something to get your coworkers for an office party or in need of appetizers for a get together, be sure to check out FruitFlowers! Besides the minor hickup on the delivery time, I was very impressed and would definitely order from FruitFlowers without hesitation. You'll be glad you did, not only do you get amazingly fresh and beautiful fruit, but you'll get spectacular service. I oredered these before - excellent! Super good!